The BU2032SM-G is a medical grade battery holder from MPD. MPD has unmatched expertise in specializing battery holders for medical devices, and over the years we have had the privilege of working with top medical device companies around the world. Many of the world's largest medical device manufacturers have audited our factories, which have always received approval. We are familiar with the unique challenges facing medical device design versus normal consumer electronics, and we understand the constraints of having more stringent safety standards, less tolerance for power discontinuity, the need to avoid costly recalls, as well as the many other issues that are bound to come up during the design process of a medical device. 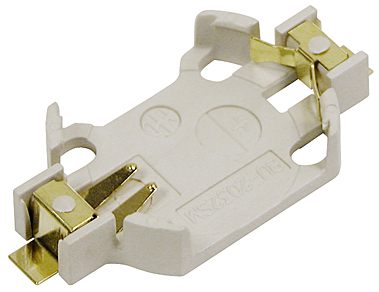 MPD currently has a robust line of stock battery holders intended for use in medical devices. Many of our CR2032 and other coin cell holders use DuPontâ„¢ ZeniteÂ® LCP, which boasts many benefits in medical applications. This LCP is extremely durable and lightweight, resistant to conventional sterilization processes for clean room assembly, and it withstands temperatures of up to 280Â°C for reflow solder process compatibility. Additionally, nickel-plated phosphor bronze contacts with a gold flash overall are used in order to resist environmental corrosion as well as conventional sterilization processes. 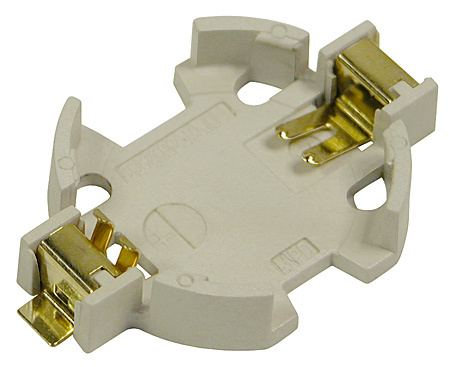 These superior contacts also have a minimized electrical resistance, thereby enhancing both the life of the battery and its connectivity. The BU2032SM-JJ-GTR is a specially designed medical holder. MPD battery holders offer advanced features not seen anywhere else, and it is in these details that our products are differentiated for our customers. For example, the BU2032SM-JJ-GTR has recurved positive contacts which offer a stronger retention and more durability than traditional coin cell contacts. We also offer a wide variety of other unique designs not seen anywhere else, and because of this MPD has come to be known as the world's leading innovator of battery holder designs. We have recently completed a study of medical device recalls by the FDA, and have published the results here.